On the top of these components, we can easily create business oriented solutions for our clients, to fit their specific needs in terms of modeling and ease of use. We use Model-Driven Development process to create and maintain our solutions. In this process, we create a description of all our models, according to a metamodel that we established. 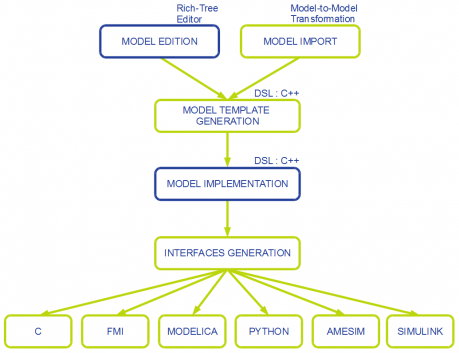 Since, we develop most of our models according to MDA (Model Driven Architecture). 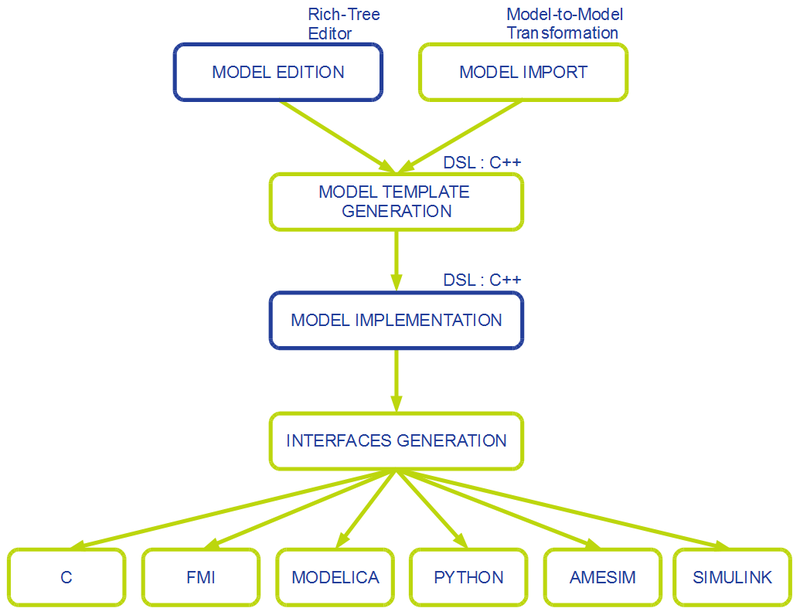 This approach relies on describing all models in a specific and neutral “metamodel”. The implementation is then done in C++ (very good performance, portable, object-oriented, debuggable…). 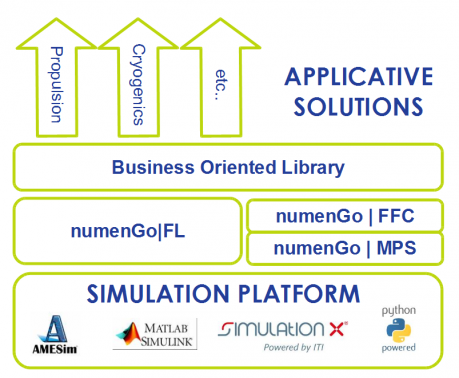 We can generate new bindings on demand, but most of all, each time we add a new component in our model libraries, it is automatically usable in all these environments, reducing drastically the maintenance.